If you are the first generation from your family to attend a four-year college, aka a “first-gen”, then you will have to take the ACT or the SAT. These are admissions tests for colleges and you need to take one of them. You can try them both and see which you prefer. 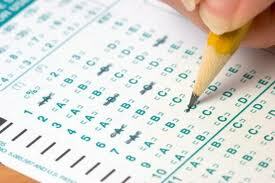 All colleges in the US will accept either test, so you can focus on the one you do better on. I strongly suggest that you should do some prep work before you take the test. You can take a class, study with a book, or study online (there are free and low-cost test prep options available in all of these forms, though free classes are harder to come by.) Many students in the US spend 3-9 months preparing for the tests, so it’s a great idea to do something. You don’t want to send in your raw scores against everyone else’s prepped scores. But even after all of this, if you try your best on the tests and still just aren’t an awesome test-taker, there is great news for you! There are more than 800 colleges and universities in the US that do not require any test scores for admissions. These schools do not think the tests are fair since some students can afford expensive prep courses that many others cannot. These schools are called the Fair Test Schools, and you can find them on www.fairtest.org. Search through the list to see which schools are on there that appeal to you. Some Fair Test schools do not require any tests at all, and some do not require any tests if your GPA is above a certain threshold, so read the fine print carefully. If testing is not your strong suit, then the Fair Test schools can be a great solution for you!